Fly, little data, and be free! In August 2014 the gravitational-wave community celebrated an important milestone when the LIGO Open Science Center (LOSC), which I've been privileged to help build, released two years of LIGO data to the public. As stated eloquently in the Panton principles, "Science is based on building on, reusing and openly criticising the published body of scientific knowledge, and for science to effectively function, and for society to reap the full benefits from scientific endeavours, it is crucial that science data be made open." Nevertheless, the data from LIGO, arguably one of the most high-profile endeavors in modern U.S. science, have been so far restricted to the LIGO Scientific Collaboration (to which I belong with 1000+ other scientists throughout the world). 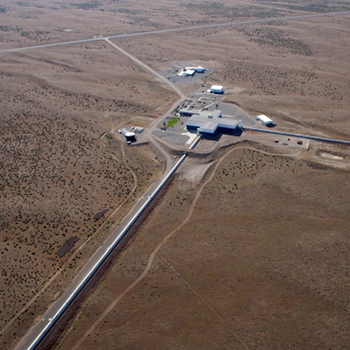 The reason, more than a desire to keep the first detections for ourself, was the realization that LIGO is still operating as an experiment, rather than an observatory: the interpretation of the LIGO data cannot be divorced from an intimate knowledge of the quirks and peculiarities of the detectors, so that the data can only be analyzed in close collaboration with LIGO experimenters. As much as I am sympathetic to this argument, I have always felt that the sooner we could transition to operating LIGO as an observatory that serves data to an external community of users, the sooner we would realize the vision of gravitational-wave astronomy as a new mode of exploring the cosmos. So I jumped at the opportunity of helping design and build the LIGO Open Science Center, which fulfills LIGO’s commitment to open its data to non-LIGO scientists and to the public, and to provide the tools and context to use and understand the data. LOSC is led by Caltech's Alan Weinstein, with Caltech's Roy Williams and Jonah Kanner doing the lion's share of the work. I focused my contribution on collecting and distilling information about data quality (roughly, which segments of LIGO data would you want to search for gravitational waves, and which are likely to be dominated by only instrument glitches and noise?). As we write in the article presenting LOSC, opening the LIGO data will maximize discovery: it will enable reproducibility, it will get more eyes on LIGO data to recognize potential problems and solutions more rapidly, and it will benefit collaborations with other projects. Open data will bring the excitement of GW science and multimessenger astronomy to students, amateur and professional astronomers and scientists in related fields. While data from Advanced LIGO, which begins its first observing run next year, will not be available until sometime after the first detection, you can already play with the "S5" dataset, which collects two years of data at Initial LIGO's design sensitivity. Please visit losc.ligo.org for full data access, software tools, tutorials, and much more.